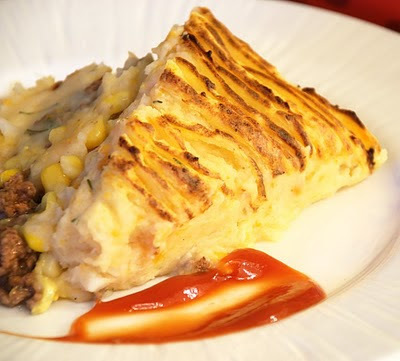 Old school Shepherd's Pie made with ground beef, corn and mashed potatoes. Mixed in the meat was onions, mushrooms and a few spices (Montreal steak, paprika and cumin). 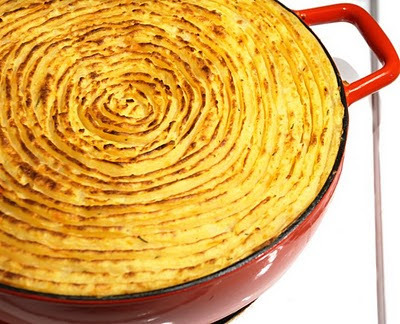 The mashed potatoes were made with one sweet potato mixed with regular potatoes. We also added fresh rosemary since we had it on hand. The lines were made by dragging a fork in concentric circles and then putting the whole thing under the broiler for a few minutes. I've yet to try the fortune cookies, I'll let you know how it turns out !